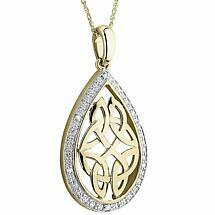 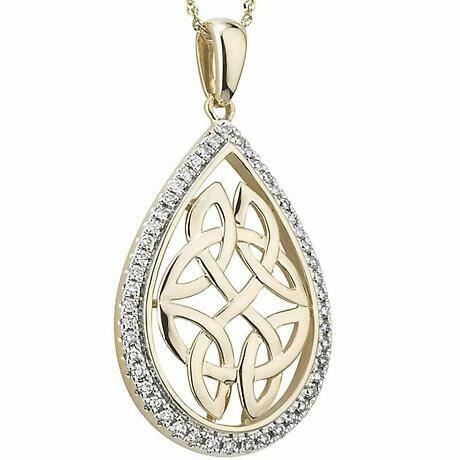 An Irish Necklace featuring intricately interweaved Celtic Trinity Knots in 10k Yellow as its centerpiece. 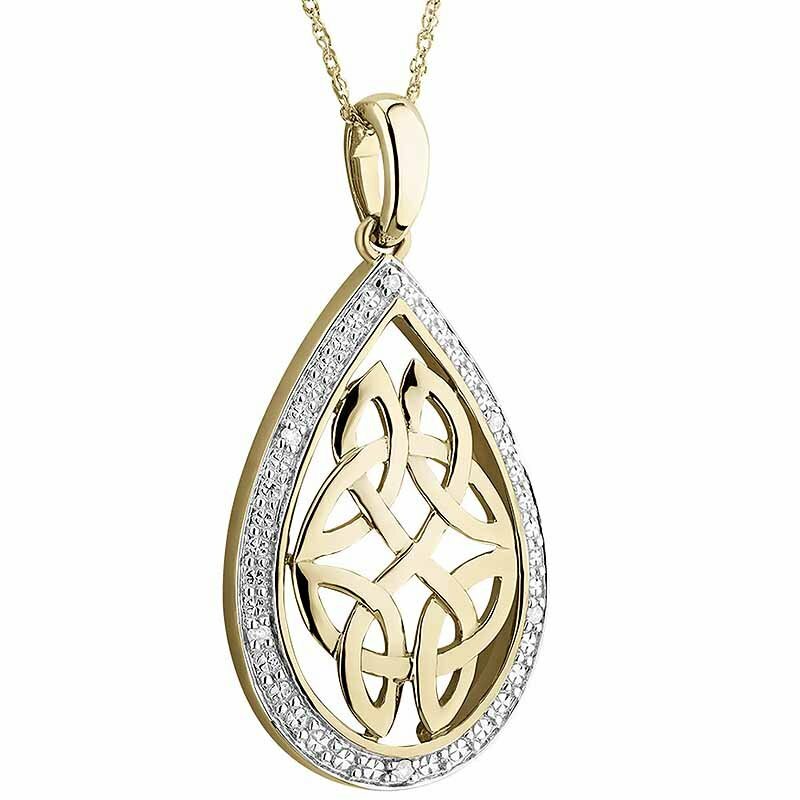 Outlined by 14k White Gold, sparkling with diamonds, this oval pendant is a delightful fusion of heritage and contempory Irish Jewelry Design. 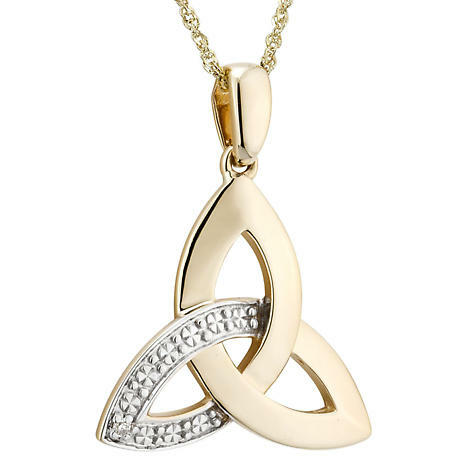 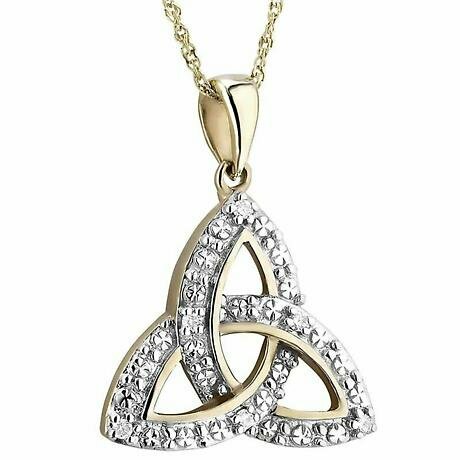 The Trinity Knot is the Irish symbol of everlasting Love, Faith or Friendship, having neither beginning nor end. 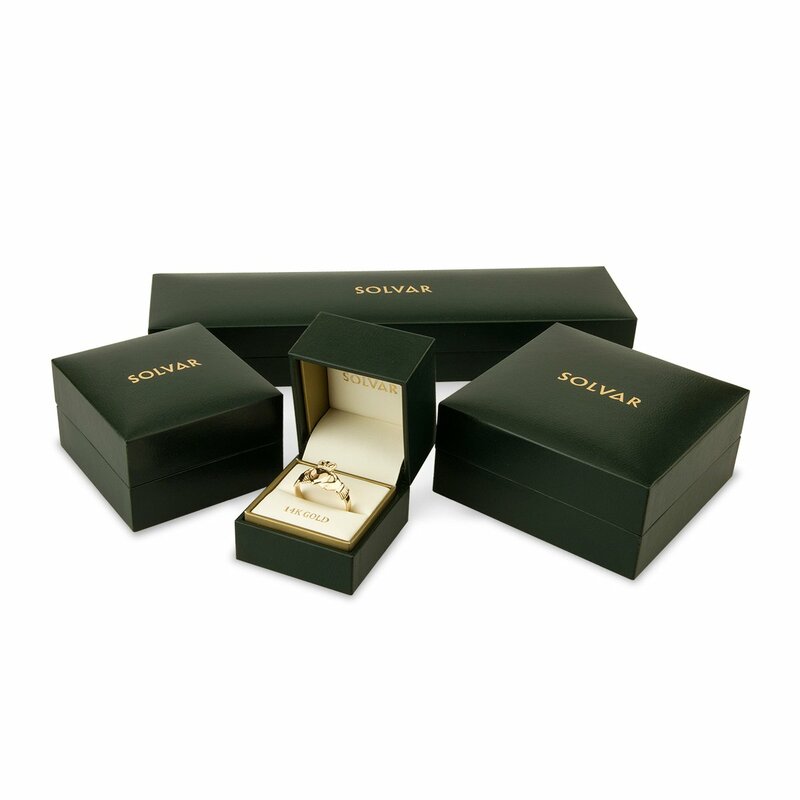 Comes on an 18 inch 10k Gold Chain in a presentation gift box.